20 something wife and mother of 2 striving to be as self suuficient and in touch with my food supply as is humanly possible in an apartment in the center of a huge metro area. Went to the OC Fair and fell in love with funnel cakes, so I came home, googled some recipes and made some, put powdered sugar on them then topped them off with some strawberry preserves. Heavenly! 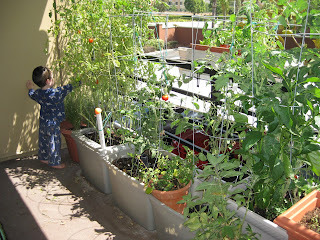 tured my apartment balcony into a mini veggie & herb garden using DIY self watering containers, learning to bake real wheat bread ( I usually bake gluten free), continuing to read up on cheesemaking and plan to make sausage (linguica) this fall. Hi Cynthia - welcome to HOMEGROWN.org! I love your funnel cake inspiration story - that's an intimidating DIY involving hot oil!! Looks like you've already made some great connections here - so glad! 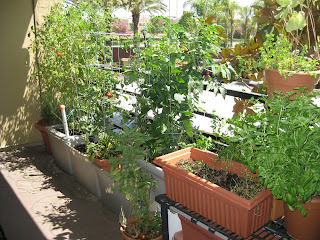 Look forward to hearing more about your patio harvest. Hi Cynthia! I just searched for your "art of kefir-making" post because I'd like to include it in a HOMEGROWN 101 section here for new people. How are you? How did your summer growing season go? We miss you!